Is this all app-ening right now? Yes, it is. My life just got more functional… at long last I got an iPhone! It’s been a 3-year-long process that started with an iPhone 3G gift card in 2009 from M and her hubby, got sidetracked for a few years with a Blackberry until the Verizon deal then the iPhone 5 hype, and then was delayed again because of Apple’s annoying reservation system and Manhattan’s apparently insatiable appetite for iPhones. Phew! Turns out all it took was M’s determination (she was tired of those Blackberry photos too) and one was reserved for me at the CT Apple Store et voilà! That really got things app-ening (I love a bad pun). Here’s my first Instagram photo (#1 on my app envy list for a while). 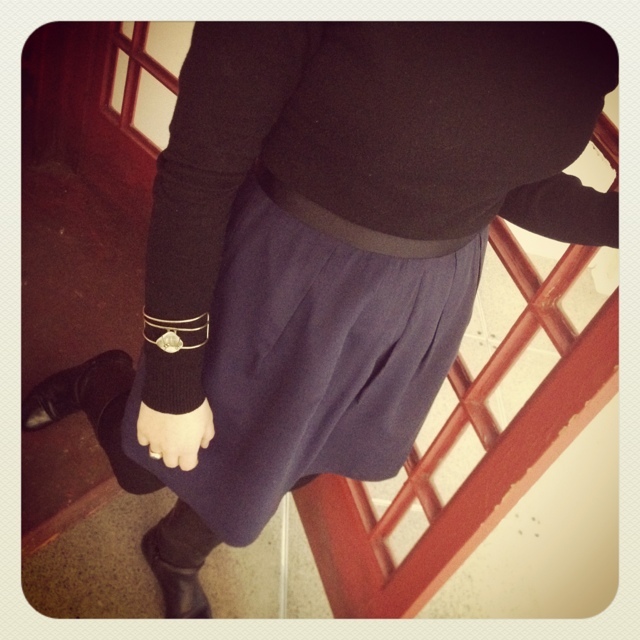 The quartz bracelet was pilfered from my mom’s collection and the telephone booth in my office is a London transplant. What are some of your favorite apps? Leave me a comment! 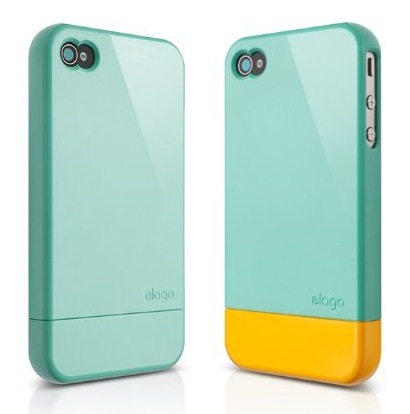 In the search for the perfect case, the winner was the Elago S4 Slide Case. Loved the mix-and-match color-block combos and the $23 price tag. 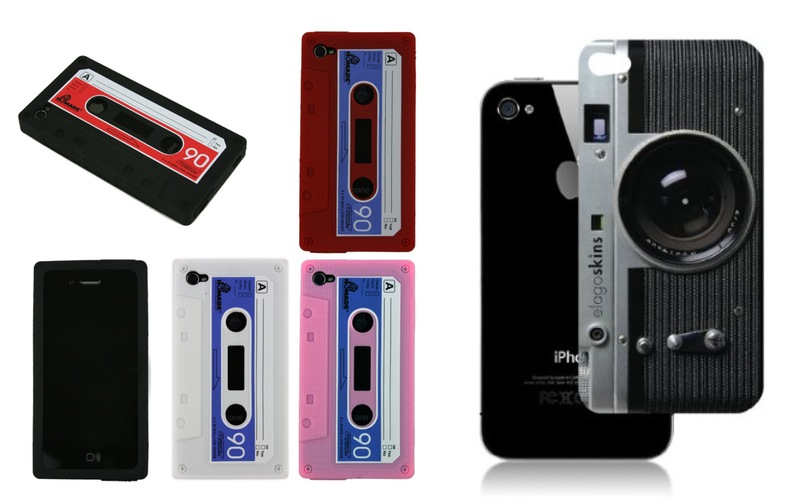 Runners-up were quirky designs inspired by vintage technology (Silicone Cassette Tape Skin, left, right Elago Skins – Camera). Cute case choice! And welcome to the bright side. And the addiction that is known as Instagram.